No Tribe of "All of Us"
Can I name drop here? 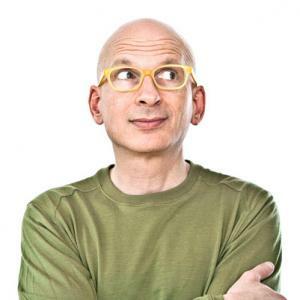 Not long ago I had lunch with Direct Marketing Hall of Famer, Seth Godin. Admittedly there were about 1,499 others at the Business Chicks lunch (yes, they even let some lucky men in, too) but I felt like Seth was talking to me and we were getting along famously. I was a member of his "Tribe". Coincidentally (not! ), Tribes were what Seth wanted to talk about that day. He believes the internet has changed communication and marketing - but sadly many marketers are still in mass communication, audience interruptus, mode. Seth reckons the internet has organised people into Tribes. And Tribes he defines as people like us doing things like us. Too many are still into "all things to all people"
Those familiar with Seth will know another of his famous expressions is "Always try to be remarkable". In the literal sense, "remark-able" means someone reacts to something you do or say by remarking on it to you or, particularly, to others. I first heard him say it 10 years ago when he mentioned it in reference to the Cluetrain Manifesto (Google it) and it has stuck with me. These days, Godin's concept of "The Tribe" certainly helps me to identify more closely with those I'm trying to connect with. While that might seem trite, and marketers have often paid lip-service to being selective in targeting, try Godin's "Outsiders" test. we think you want to positively discourage "Outsiders"
That there is no tribe called "All of us" means that there will always be "Outsiders." Once you can identify the Outsiders clearly, decide you won't go after them at all - in fact, we think you want to positively discourage them; that will certainly help other members of your Tribe find you faster as you stand out to them more clearly. It's a very useful tool to use when you're filling out that Target Audience box in your briefing document. With 3bn people on the planet who could find you if they wanted to, it's not a matter of you finding them. Your Tribe will find you through your story. Too often we see things in terms of what we do better than others - our area of specialty, our area of expertise . "It is tempting," said Maslow, "if the only tool you have is a hammer, to treat everything as if it were a nail." There just might be a better way and we should always be looking for it. People Like Us Do Things Like This - not everyone will want to connect. It's important we don't produce average stuff for average people. What change are you trying to make? We want to change people from believing this to believing that. Harley Davidson are not known for the fastest bike but they certainly have a strong Tribe. Tribe member's attention is a precious, scarce commodity. They spend it judiciously and once spent, there are no refunds. Attention costs marketers a fortune to get and should be treated with the sensitivity it deserves. The Brand is the promise an organization makes; the logo is not in and of itself a promise - pretending a logo has intrinsic magic, that's a placebo effect. If you are trying to solve a problem people don't think they have, you have the problem. You want to solve the problems of people who know they have a problem. You might like to sign up to Seth's insightful daily blog which ranges across many work/life topics; it's usually a short but thought-provoking read.